The hamsa is a Middle Eastern symbol dating back to prehistoric times designed to give protection from the evil eye, bad luck that results from the attention or jealousy of others. Today it shows up in both Jewish and Muslim culture. 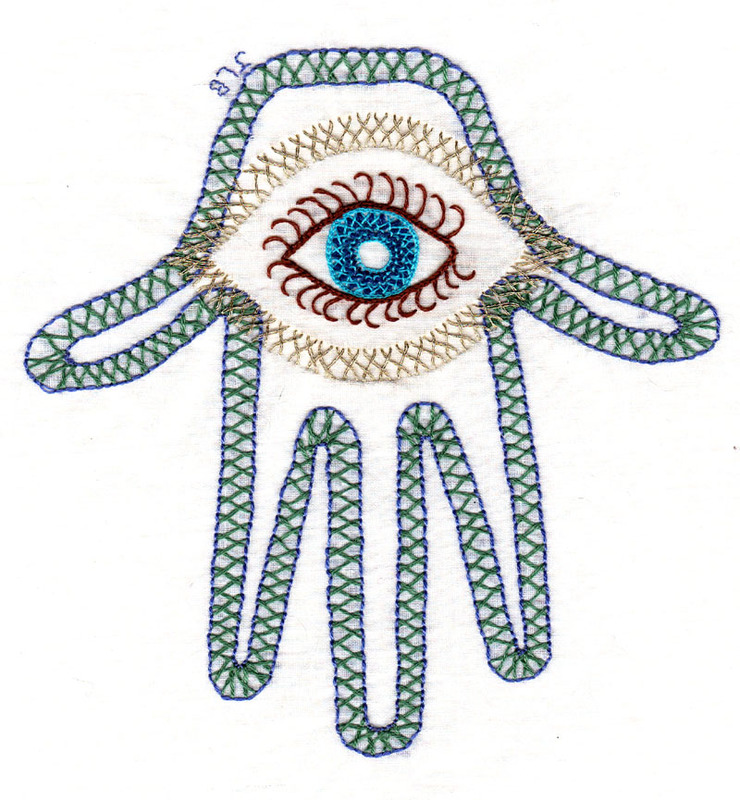 The hamsa consists of a hand, usually pointing fingers down with an eye in the middle. The hand usually, but not always, appears to have two thumbs. The eye is generally blue; a color which is also associated with protection from the evil eye. The entire symbol is often made of or covered with a material that is somewhat reflective to reflect back the evil.